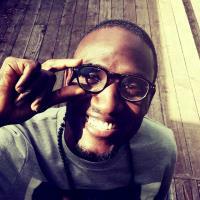 While searching for a graphic designer, Serge Grand Palais came across my Creative Invention branding project and wanted something similar and presentable that would brand their business. A unique combine lettermark and icon logo, and a clean, simple, classic business card design for their brand. 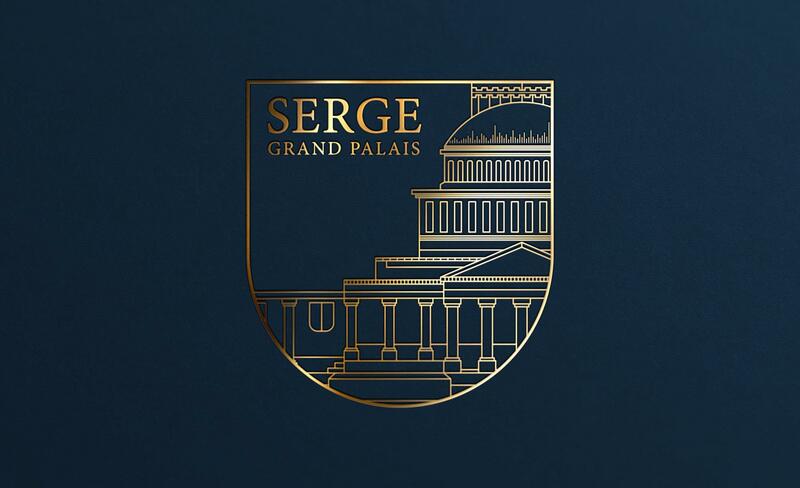 Through long distance communication and exchange of my ideas for the logo design with the client, we finally hold on to the idea of illustrating the entire Serge Grand Palais building and framing the unique part of it with a stroke shield as their logo. 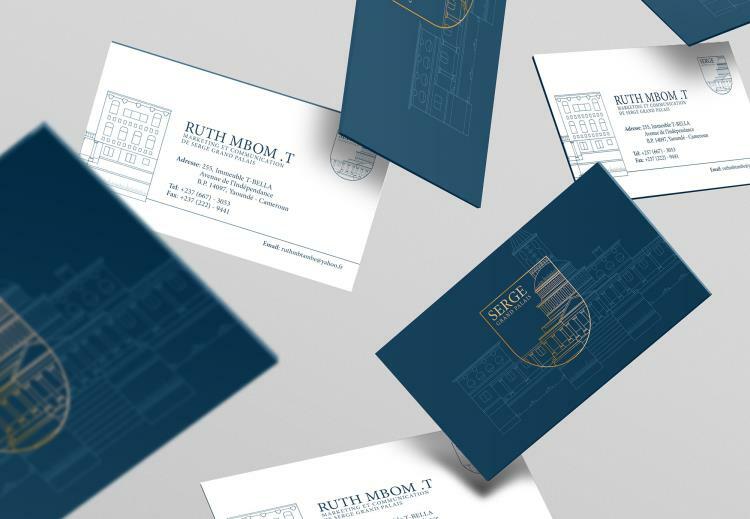 Part of the main auditorium outer view works well as a logo because it would be recognized in any branding identity for the building one of a kind architecture even without it lettermark. 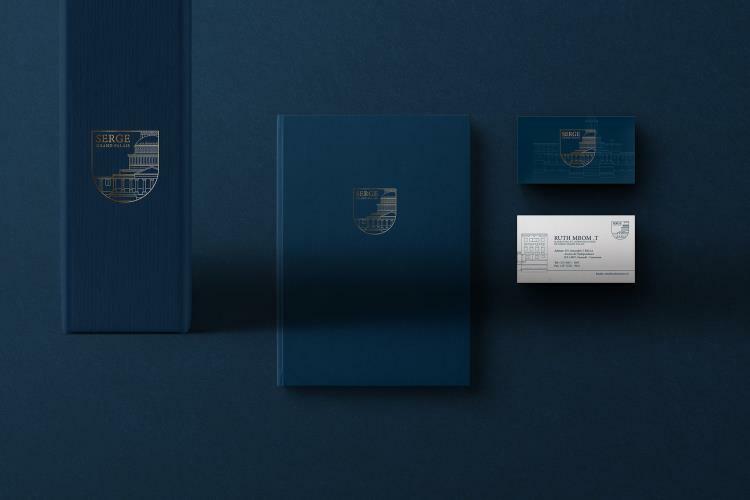 The Minion Pro typeface was chosen because of its delicate strokes and curves, and it is a fine combination to use for heading or for invitations in event planning business. 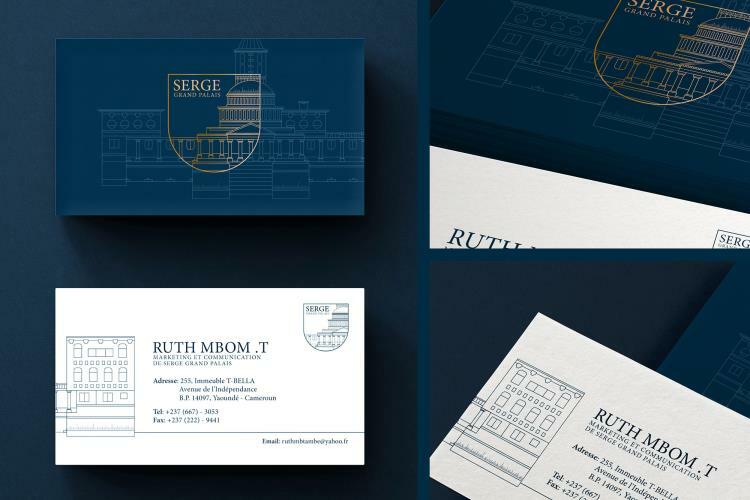 Because Serge Grand Palais is always responsible for organizing something that brings people together under one roof, the business card has been designed with the idea of half of it building on the front and half on the back side of the card. 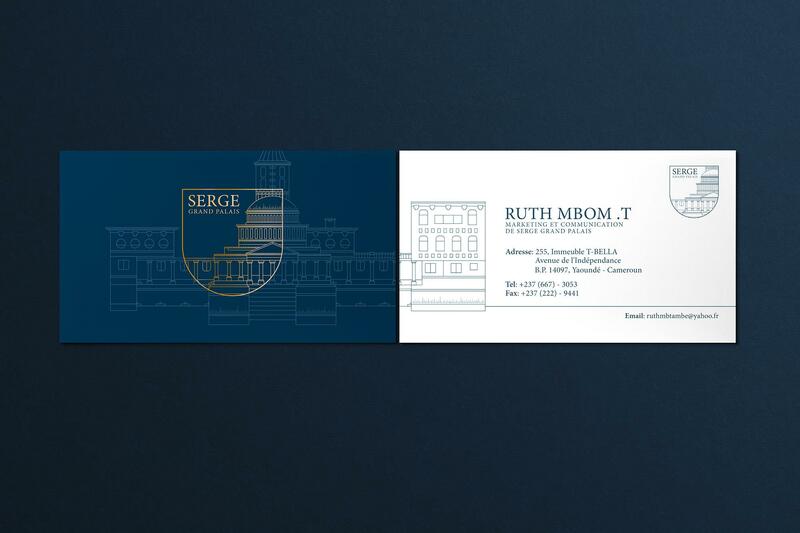 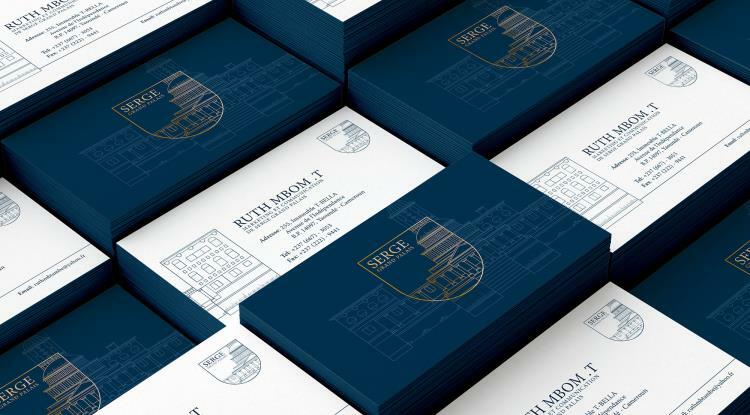 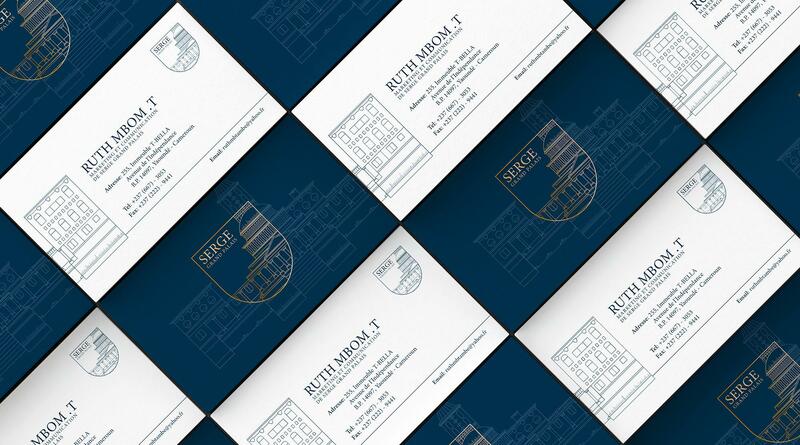 The concept or idea of this design is, wherever or whenever two holders of this business cards meet and join the opposite site of the business card together, it forms the complete Serge Grand Palais building like bringing two people together.